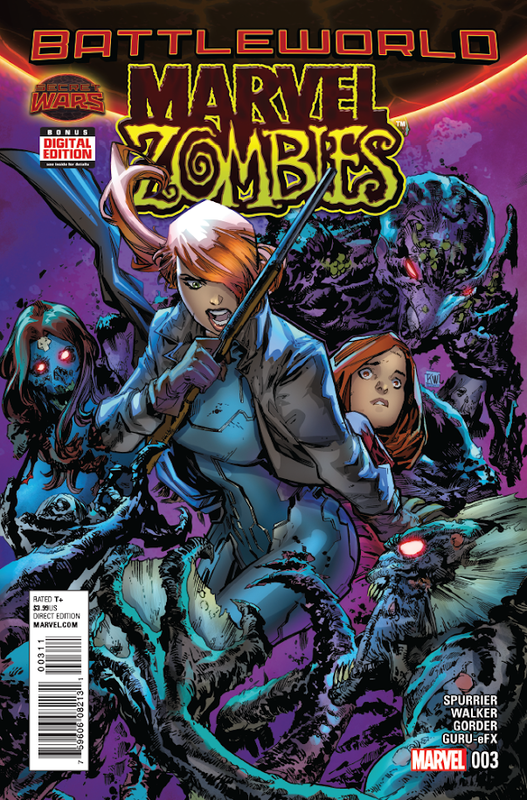 Marvel Zombies #3 comes out tomorrow August 26, 2015. A preview of this issue can be seen here. 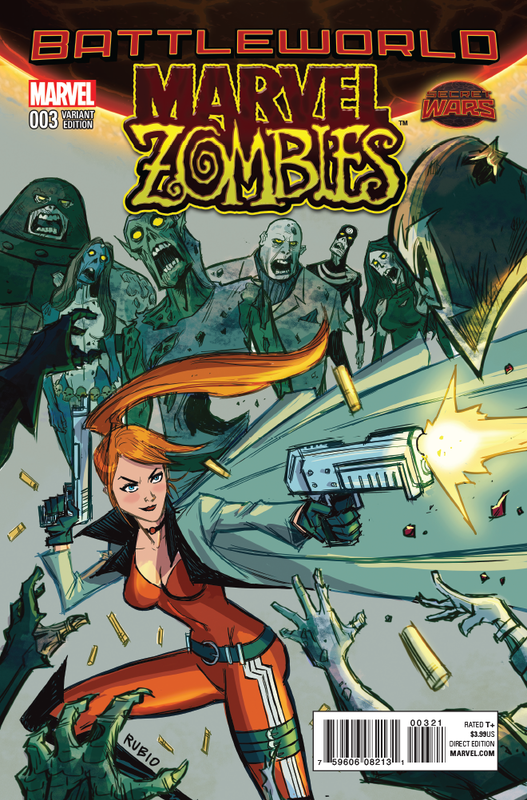 • Stalked across the zombie-ridden Deadlands by a merciless hunter, Elsa Bloodstone is determined to fight her way out and save the life of a child who relies on her for survival.